I'm not sure how I missed this back in July of 2015. But it's worth noting. 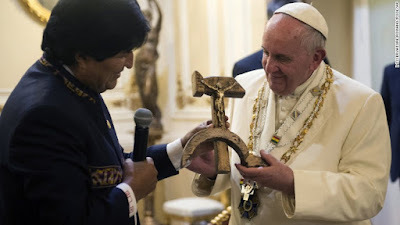 Supposedly Pope Francis was 'surprised' by this, but the fact that Bolivian president Evo Morales felt in a position to offer this to the Pope, says a lot about the image he has projected - at a minimum. 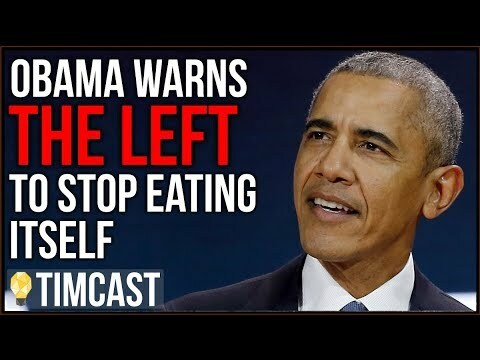 I for one, am not surprised that this happened. I don't think the Pope really was either, unless he wants to be a stealth socialist Pope and this blew his cover. Yes, that's a hammer and sickle crucifix. (CNN) The look on the face of Pope Francis says it all. Why am I being presented with a wooden crucifix laid on a hammer and sickle, the Communist symbol conceived during the Russian Revolution? The Pope received the gift from Bolivian President Evo Morales on the latest stage of his South American tour. He later celebrated Mass with nearly 1 million Bolivians in Santa Cruz. The links and battles between Communism and the Catholic Church are an extremely sensitive subject in Latin America, the Pope's home continent. While he was an archbishop in Argentina, Francis tried to strike a delicate balance between championing the poor and avoiding class warfare. According to reports, Morales told Francis that the "Communist crucifix" was modeled on a design created by the Rev. Luis Espinal, a politically active priest murdered by right-wing paramilitaries in Bolivia in 1980. The Pope stopped and prayed at the site of the shooting on Wednesday evening.